We have an announcement to make: This may very well be the most decadent chicken dish to come out of the Hungryland kitchen this year. (Sure, it’s only February, but that’s still impressive when you cook chicken as much as we do!) It's creamy, crammed with flavor, and crazy versatile. Will we be spooning this over our spaghetti squash, zucchini noodles, and cauliflower rice? Yesssss! Place chicken in a slow cooker, and season with salt and pepper. Add broth, onion, and garlic. Cover and cook on high for 3 - 4 hours or on low for 7 - 8 hours, until chicken is fully cooked. Meanwhile, place cream cheese in a large bowl. Stir until smooth. Add remaining ingredients, and mix until uniform. Transfer chicken to a cutting board, and roughly chop. Add to the bowl. 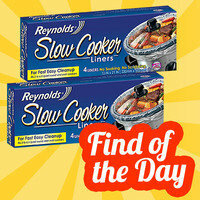 Hungry for More Healthy Slow-Cooker Chicken Recipes? 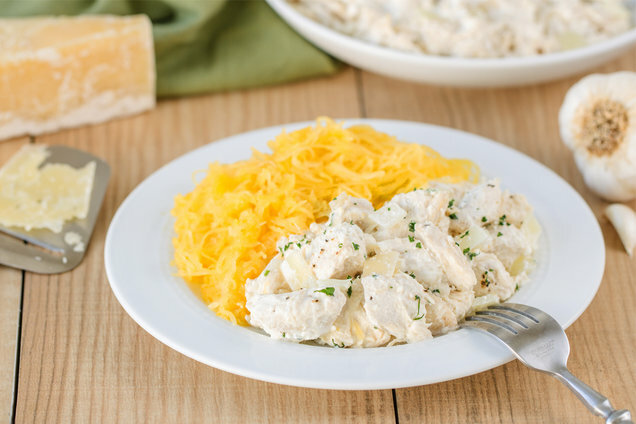 Oh look, it's National Fettuccine Alfredo Day (February 7th)! 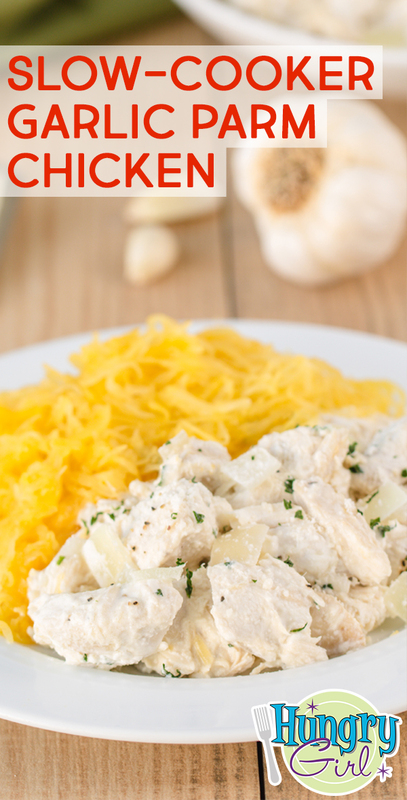 Celebrate by pairing today’s chicken recipe with this Too-Easy Z’paghetti Girlfredo. Make sure your pals don't get bored with chicken! Click "Send to a Friend" now.